Lake Nacimiento Resort and Marina has 7 campgrounds ranging from walk-in, tent-only campgrounds to campgrounds with full hookups for RVs. The campgrounds are available on a first-come, first-serve basis and through reservations. Group camping is available at Sandy Point and Rocky Canyon campgrounds. Self-contained RV rental trailers are also available. The campgrounds have flush and vault toilets, and some also have showers. Each campsite has a table, fire ring and grill. In addition to 7 campgrounds, the Resort has cabin/condo type lodging, a restaurant, general store, boat ramp, a 100-slip marina, and play ground. Equipment and RV rentals are also available. Eagles Ridge campground is a walk-in tent only campground with a general parking area for all sites. Most of the sites are shaded and offering views of Lake Nacimiento. The campground has vault toilets and each site has a table, fire ring and grill. Pine Knolls is the largest campground at Lake Nacimiento and offers mixed-use sites include beach camping for tents or RVs, RV sites with hookups, and tent sites. There are also a few sites with RV rentals. The campground has modern restrooms with flush toilets and showers. There is also a general store, restaurant, pool and boat ramp close by. Each site has a table, fire ring and grill. Oak Knolls campground has 38 full-hookup campsites set among a nice grove of oak trees. Most campsites have shade. The campground has a modern restroom with flush toilets. Each campsite has a table, fire ring and grill. Rocky Canyon campground has 14 single-family campsites and a few group campsites. It sets in a grove of oak trees and most sites have nice shade. There are no RV hookups in this campground. Each campsite has a table, fire ring and grill. Sandy Point campground has 12 campsites and most of these are for groups. The campground is located on a bluff overlooking the lake. There is a modern restroom with flush toilets and showers. Each campsite has at least one table, a fire ring and grill. Lake Nacimiento Resort & Marina features Lake Nacimiento with 165 miles of shoreline. It is located near California’s central coast in the Santa Lucia Mountains. There are a wide variety of recreational activities including water sports, boating, fishing, camping, hiking, and wildlife viewing. 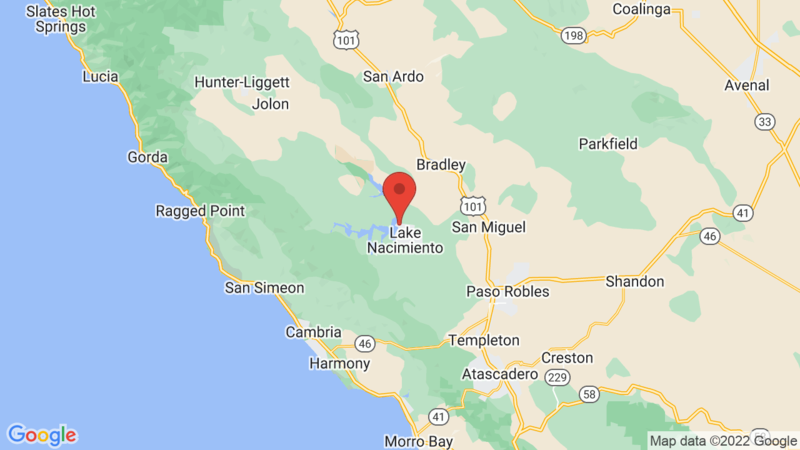 Visted Lake Nacimiento Resort and Marina Campground lately? We'd love to hear about your adventure. Did you find us useful? Did we forget something? Anything our community should know before heading out to Lake Nacimiento Resort and Marina?